Instagram Shopping is changing the face of advertising. According to Statistica, Instagram had 800 million active users in September 2017. 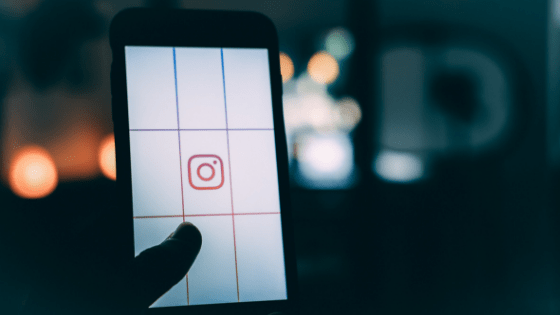 How can you as a retailer or agency start tagging your products with a well-constructed Instagram Product Feed? The Instagram Shoppable Post feature is currently available to approved businesses in: the United States, United Kingdom, Australia, Canada, France, Germany, Italy, Spain, Brazil, Sweden, Netherlands, Argentina, Mexico, New Zealand, Switzerland, Puerto Rico, Ireland, South Africa, Belgium, Austria, Peru, Uruguay, Paraguay, Malta, Ecuador, Panama, Portugal, Poland, Greece, Cyprus, Denmark, Czech Republic, Romania, Norway, Hungary, Bulgaria, Croatia, Finland, Latvia, Lithuania, Slovenia, Luxembourg, Dominican Republic and Belize. 9) Instagram will pull in all product catalogue information from Facebook, including a link back to your website from the photo. Up to five product tags can be added per photo. 10) Click ‘share’ to set your shoppable Instagram post live! Sound easy? The one thing you might need more help with is Step 9. It’s important to include the correct product data within your feed in order to get the most out of your shoppable posts. Contact Highstreet.io to take the hassle out of setting up your Instagram Product Feed. Instagram has different catalog (feed) limitations compared to Facebook Dynamic Product Ads and Google Shopping. On Instagram you can only upload 1 feed of your catalog to 1 account. If you have multiple Instagram accounts for every country/language there is no issue matching country specific product URLs to each Instagram account. If you only have 1 master account for your business you may need to look into updating your feed URLs to be more generic. In this case you can update your product URLs to strip out the country. When you tag your product the URL should load the proper country based on the location data it pulls from your IP automatically. On Instagram you can only upload 1 feed of your catalog to 1 account which means you need to choose 1 set of product URLs to include in your feed. Someone mousing over your products in a Shoppable Instagram post may not see the product name or price in their language or currency depending on where they are located. NOTE: You can use your Facebook Dynamic Ads feed for Instagram if you’re only advertising in 1 country, 1 language and 1 currency. Otherwise follow the recommendations above to create a custom feed. Get more in-depth information on setting up a Facebook Dynamic Ads Product Feed. 4. Tap ‘Done’ and ‘Share’. So get started on making your products shoppable on Instagram and start growing your product sales! To get more information on creating a feed to use for Instagram shoppable posts and the process behind it contact Hightstreet.io today for more information. We develop product feeds for anywhere you want to advertise or syndicate your products.